Fans of Nickelodeon’s continuation of Avatar: The Last Airbender, The Legend of Korra, can now enjoy it in game form across four of the five major home consoles (sorry Wii U) and PC. Kamehame– no, wait, wrong series. Hadoken? No, that’s still not right. Gimme a sec…. For fans of the Avatar: The Last Airbender spinoff/continuation a game based on The Legend of Korra has been a long time coming. Despite this, the announcement that Platinum Games — the same people behind Bayonetta, Metal Gear Rising: Revengeance, and even The Wonderful 101 — were handling the title brought tears of joy to many an action gamer’s eyes as they considered just what the team might bring to the table. The result is a $14.99 digital-only beat ’em up title available on PS3, PS4, Xbox 360, Xbox One, and even on PC. The Avatar universe is based around the concept of individuals called benders: people who can control an element, either fire, water, air, or earth, and force it to do their bidding. The Avatar himself (or herself) is a rarity in that they can control all four elements, and are expected to use that ability to help keep the balance of power and peace. 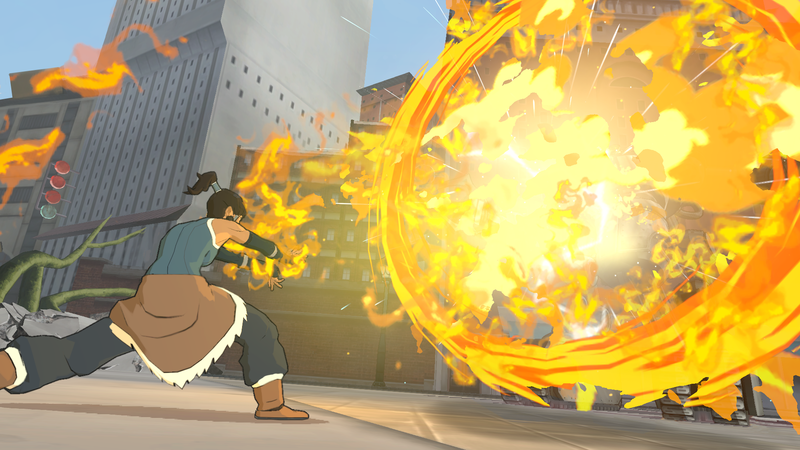 Korra is the latest of these Avatars, and throughout the game players will learn to use all four elements in a variety of ways to chain combos and bash enemies. Reviews of the game have been mixed so far. Many critics have laid into the title over what is considered an abnormally high difficulty for a game based on a cartoon as well as under-representation of many of the series’ core characters, but response from fans of the cartoon series itself have been fairly positive overall. In the end, the consensus seems to be that if you’re a fan of the cartoon series and own a home console or PC then The Legend of Korra is worth considering, even if it doesn’t live up to Platinum Games’ other major releases. For Nintendo fans, you’ll just have to wait until the 3DS RPG game comes out later this year.